Richard Bucker was prolific during the '90s and early 2000s, but it's taken the alt-country veteran five years to follow up his 2006 LP Meadow. Now, he's finally ready to break his silence with the new album Our Blood. Eventually, the recording machine was resuscitated and some of the material was recovered. Cracks were patched. Parts were redundantly re-invented. Commas were moved. Insinuations were re-insinuated until the last percussive breaths of those final OCD utterances were expelled like the final heaves of bile, wept-out long after the climactic drama had faded to a somber, blurry moment of truth and voilà!, the record was done, or, let us be clear, abandoned like the charred shell of a car with a nice stereo. 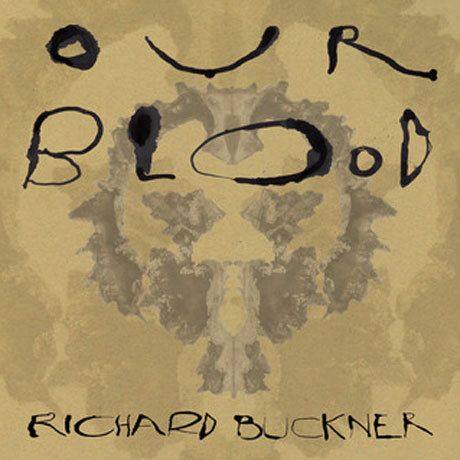 Finally, Buckner has finished this nine-song collection. See the tracklist below and download the single "Traitor" for free right here. Our Blood comes out on August 2 via Merge.